In Donauwörth, Germany, the cantor of the protestant church, Hans-Georg Stapff, organizes a four concerts festival called “Donauwörther Notenkessel” since 23 years. 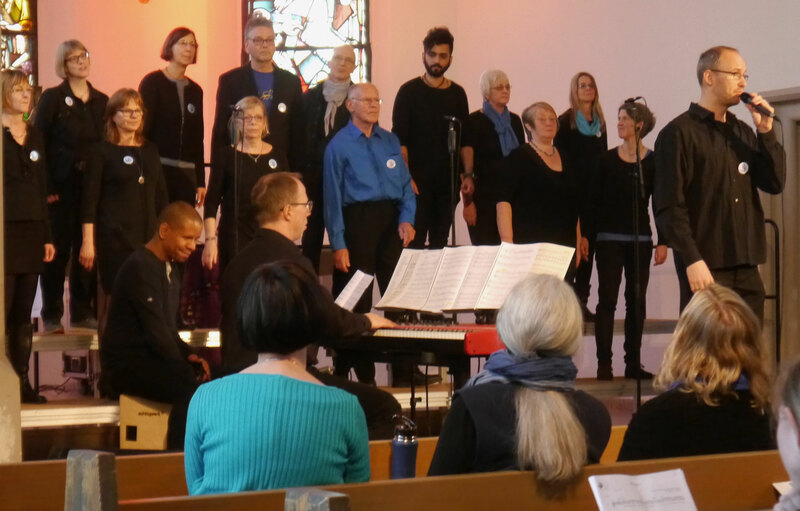 This year he invited Axel Christian Schullz with his project “Sing Human Rights” to come to Donauwörth and sing human rights. The Universal Declaration of Human Rights was given a lot of space within the congregation. E. g. it was printed in the parish newsletter, it was talked about in prayer meetings, we gave a workshop and an concert. Thank you very much for the opportunity to present “Sing Human Rights” and our musical human rights education in Bavaria.